Exams is coming in no time. Good Luck to everyone and we shall meet you in Birmingham, UK next year. 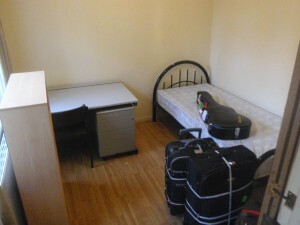 Currently, we are short of one housemate for our private house with 5 rooms in birmingham. Four of us are male and we are from year 2 EE. table, chair and book shelf. Please contact me, Zeneng if you’re interested. Thank you. Wow!! Its been a while since i visited this page.. Pai Seh..
How’s everyone… in UK, in Aust, in Taylor’s..? Well, semester has started here in Taylor’s after the long long break..
For MEs, we have a new lecturer, Dr Clement Lo. The guys seems to like his cool outlook. But i feel he’s abit snobbish.. hehe… Abdulkareem is teaching us again! Flows with friction.. this time he has improve abit in his teaching..
Looks like we’ll be having a hectic semester with 2 hands-on projects and finals in May… Cant wait to join the rest of u in UK!! I think we should open up this webpage to all the engineering students.. if not i feel Tzyy and gang’s hard workcreating this will go to waste.. what do u guys think? Basically, the university here is big, has a lots of nice buildings, big land and crowded with lots of different religion’s people. For more photos please proceed to my personal blog. And where the hell are the new intake’s students? Wish u guys all the best in Birmingham!!! Do keep us, the Malaysia gang, updated..kay..
Gonna miss u guys so much!! We’ll see u guys soon.. get ready to welcome us next year!! The orientation for the new intake is on 2nd Sept. Our classes starts on the 3rd of Sept. In the Orientation i will conduct a game called “The Da Vincci Code”. Its only a 30 min game. I will prepare most of the things needed.. you’ll jz need to help me coordinate the students. Inviting whole Engineering Members including ME, EE and CE. Seniors and juniors are welcome. Members’ friends are welcome too, but please tell us how many of you are coming..
any questions or suggestions please leave your comments. if your name is left out, please tell me . post will be updated every 6 hours . Target: try to make it 40 30 people, spread this event news please . Tzyy has been very kind to propose to organise a farewell party for those leaving to overseas soon. We need to know when u’ll be around Selangor so we can set the date of the party… or when would u prefer it to be on or when u’ll not be around..
p/s anyone know when is the results coming out?